In the first tiny house village post I proposed an idea of converting an existing mobile home park into a tiny house village. In part two I built on this idea by suggesting that any property zoned multi-family could be a potential place for tiny house village. In this post I’ll show you an fictitious example of how this might work with a real piece of land and reasonably accurate estimates. I found this property online. It’s three lots zoned multi-family R2 in Middletown, California. The seller is asking $320,000 and says 5 units can be built, 2 duplexes and 1 single family house. I suspect the limit is due to the size of the lot. I can’t find any building code that says there is a minimum size for each unit. I suspect there is no limit; in apartment buildings for example you might find some very small studio apartments. ATTN DEVELOPERS: Invest now in 3 flat LOTS walking distance to downtown Middletown on quiet street backing to 10 acres of open space! City Sewer/Water connection installed already on one lot w/easy expansion to other lots. Existing well also onsite. Site is cleared, fenced and ready to go! Hard-to-find R2 zoning allows for a duplex on 2 of the 3 lots or a Single Family Residence plus 2nd unit on 2 of the 3 lots. This neighborhood is primed for growth, as it is a key communter location and only 16 miles from Calistoga and approx. 30 minutes to Sonoma County! Seller will consider offers for 1 or 2 of the 3 lots. Call agent Shannon Williams at 707-987-9191 today for a complete information packet or to schedule your showing. Don’t miss this golden opportunity! It also sounds like the property is good to go with city water and sewer. These two variable almost always come with hidden costs for developers and hopeful do it yourselfers. The price may seem a bit high but for the area I bet it’s about right. Now lets do some simple math. I’m going to begin with an uneducated ball park guess at the permit fees. I’m going to guess $55,000 would be needed for permits and utility hookups. Lets say we get a deal on the land and the total cost including title and escrow fees is $305,000. That puts us at $360,000 for dirt to build on and utilities for five homes. A fair split between these evenly sized lots would seem to first split the base cost three ways, ($360,000 / 3 = $120,000). One lot will get one larger home and the two front lots would get one ‘duplex’ each so it seems fair to split the cost of each lot between the home owners of each duplex, (120,000 / 2 = $60,000). Each home owner would then be responsible for the construction costs of their own home. By day I work in the online world and I’m going to pull a trick out of that hat that’s useful for developing online products and marketing strategies. I’m going to make up a persona for each home owner(s) which is basically an accurate yet fictitious description that describes the person that will use the home. In a web project personas are developed after careful market research to be sure the people we imagine are accurate. In this case I’ll use a diverse group of people to show how this kind of community could serve a wide audience. Mark works in product management for a large green building products company in nearby Santa Rosa. He works from home 3 days a week. Jennifer works as a freelance writer. Kimberly is a busy two year old and loves spending time at home with mommy and daddy and playing with her friends at her regular play date at the park in Calistoga. Mark and Jennifer love the tiny houses designed by Jay Shafer at the Tumbleweed Tiny House Company and decide to buy the plans for an Enesti. They hire a local builder and have the home professionally built at a cost of $150 per square foot for a total construction cost of $116,100. They also buy the plans for an EPU from Jay to use as their home office and guest house. They build the EPU themselves on weekends for a total cost of $15,000. They add a pool that they share with their neighbors in trade for help with maintenance for $20,000. The total cost of the home and guest house is $271,100. This is half the cost of the house they had been living in in Santa Rosa allowing them to pay their home off faster. Mark also traded in his SUV for a Hybrid and was able to cut back the cost of his new longer commute. Mary is a writer and travels a lot. She loves small spaces and lives a very simple life. She takes on only enough writing jobs to pay her essential bills and to fund her world travels. She finds a simple plan for a tiny house online and builds the entire structure for $10,000. A few friends help her on weekends and in a couple months she’s moved in. She invests in a small photovoltaic solar system for $3,500 and her house feeds the grid electricity when she is away from home. The total cost of her home is $73,500. Billy works for a local contractor and Bobbie is going to the culinary academy in nearby St. Helena. Billy and Bobbie want to eventually have kids so starting with a two bedroom house is important to them. Billy and Bobbie do a lot of the work on the house themselves and built the house for $110 per square foot which includes a photovoltaic power system. The get a construction loan that turns into a mortgage when the house is complete. The total cost of their mortgage is $121,820 and they get a low interest rate as first time home owners. Greg is a chef at a small fine dining restaurant in nearby Calistoga. He’s had a successful career and is trying to prepare for an early retirement by reducing expenses. He sells his home in Napa and builds a tiny house about the size of his previous home’s garage. He borrows the basic plan Mary used but modifies the roof and adds a greenhouse. His house is also mostly kitchen and is perfectly suited to his lifestyle. He spends a little most money on his place than Mary and ends up spending $50,000 which includes a very nice kitchen and photovoltiac power system. Greg’s total cost is $110,000 which he is able to pay outright and still have plenty of money in the bank for his early retirement. Rick and Shirley are retired. Like Greg they sold their larger home, the home where they raised their three boys, and built this tiny house instead. Like the other homes their house is powered by a photovoltaic power system. The house is also tied to the power grid so when they’re traveling their house actually pushes electricity back onto the grid and earns them a check from the power company. Their power system cost $35,000. Their house cost $120 per square foot to build for a total cost of $144,920 including the land and solar system. This example is also a bit on the high end. I think there is a lot of room to accomplish the same kind of development with less money. In fact in part 4 I’ll pick a location in a less expensive area. I’ll give my buddy Ryan a call and see what he’s found out in North Carolina and maybe use one of those properties to base the estimate on. This entry was posted in Community Design and tagged tiny house, Tiny House Community, tiny house village, tortoiseshell, tumbleweed. I dream of exactly this somewhere in Northern California, where there are already trailer parks to be converted (even if it was in Hayward). As I have mentioned elsewhere in comments, I don’t see myself leaving California- especially as most of N Carolina is extremely anti-gay. You know, I’m 40 and happily resigned to living a monk like existence alone (my partner is not a co-habiting sort) but I am tired as heck of one rental after another and not one homey feel to any of them. Ah, well, time will tell and I shall keep an eye on things all around as they progress! Best to you. I am thinking about this now-would this work in a poor county in Northern Minnesota? Hi, Trailer parks exist in the UK too and have a mixed reputation, some have been developed by the residents and site landlords into great communities, now fiercely proud of their neighbourhood and environment. One key aspect of the faults with trailer parks is that they look, well, like trailers and often have to to comply with regulations! Bolting on car ports, decks and other appendages has done little to make them attractive. I am wondering if these trailers at the end of their life means that a lot of these trailers could yield donor chassis for recycling as aesthetically pleasing modern, low carbon, low impact alternatives. Any projects out there? Thanks! I’d love to learn more about these improved trailer park neighborhoods in the UK. Sounds like great success stories. A few people in the US are building on reclaimed trailer frames. Most buy new trailers. But I think more and more people will soon discover that an old trailer is a great source of a frame, wheels, and raw material. I just came across this website in my research for a new development project in Southern California. It’s an infrastructure project in the city of Hawaiian Gardens,CA – 4 lots zoned for 2 units each.We want to make decisions early in the design process to help deliver maximum results in the efficient use of water, energy, materials, and land in a final project plan.Initially, we thought 4 duplexes, but I am curious to know more about the tiny house design and if it would be something we could do to make affordable housing since it’s in the biggest demand. 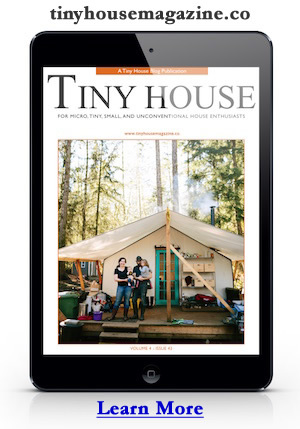 I love to read this kind of article it gives me a lot of information on how to make my own Tiny house with the help of my friends in entreprise lévisienne great article guys!